they're incredibly striking birds! i am hoping the drought situation there will improve! Thanks for commenting Therese - and the drought must have broken because I am having to mow my lawn again! I have never heard about fens...looks very strange! Love your beautiful bird shots. They are beautiful birds indeed, Mick, and great captures as always!! A really interesting post! 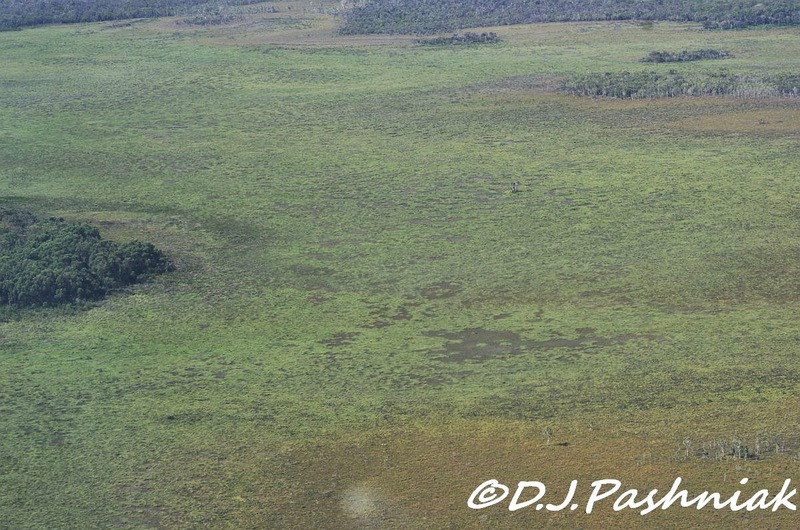 I'm going to look up Fraser Island fens. Thanks for the info!! Having to mow ones lawn again is definitely a good sign that the drought must be moving on!! Hope it stays away!! Have a great week! What interesting patterns they create. When thinking of fenland i think of the UK not Australia. really interesting post. 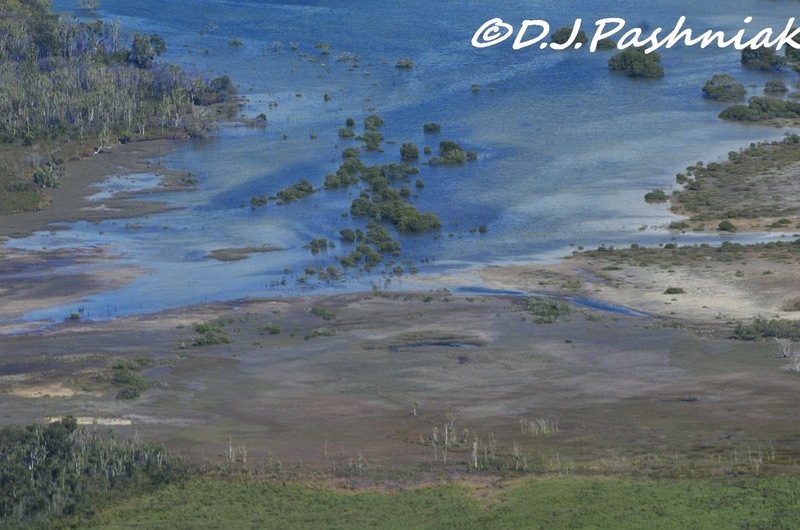 Beautiful oyster catchers, and how fun to see that interesting area from the air. Lovely views from the plane.. The Oystercatchers are wonderful birds, great sighting.. Enjoy your week! So very lovely! Love those bright red beaks. What an interesting landscape! The Oystercatches are handsome birds, and hard to overlook with those dayglow beaks! Wonderful scenes you've shared!!! The oystercatcher beaks are so bright!! Beautiful serie of photos for Wild Bird Wednesday! Is fascinating to discover something new and beautiful photos of the birds. The pie eyed oyster catchers are spectacular, beautiful shots. Love those orange eyes and matching bills! Beautiful! HI Mick The Oystercatcher are always a wonderful bird to photograph and these a great shots. 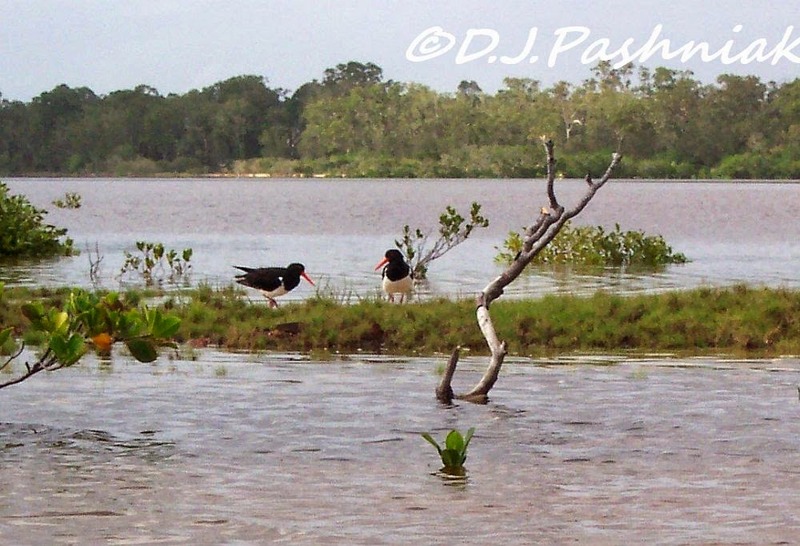 The oystercatchers are very beautiful birds. Great photos! I love those birds. I love both the sooty and pied oystercatchers with their vibrant orange beaks. Nice captures. That last photo is really special Mick. The oystercatchers look so untroubled ven though you must be quite close. I can't tell your longirostris from our ostralegus! That landscape is so different -- how great to get to see it -- something most people would never get to do. And your information so interesting. The oyster-catchers are great -- nice close-ups. What a cool looking bird. I've never seen one (probably never will) in real life. Loving the black/red color combo, it's very striking. 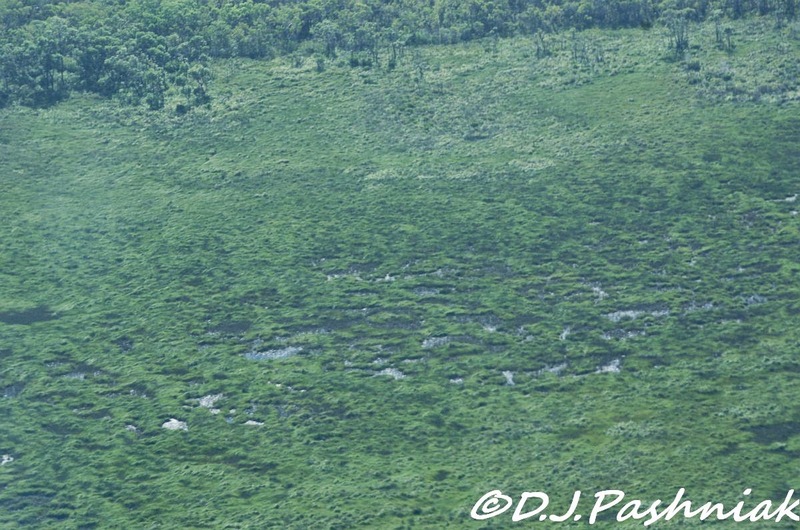 The fens make up an interesting ecosystem. 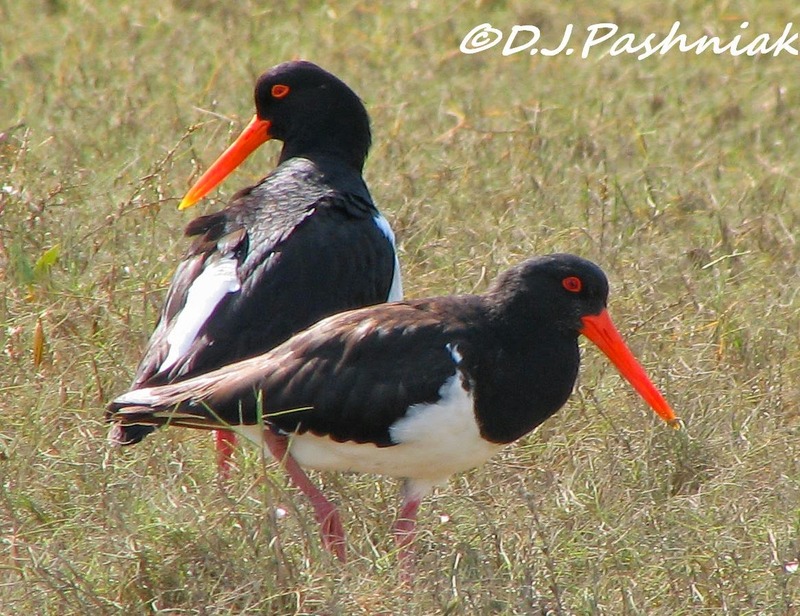 The Pied Oystercatcher is beautiful and has such a distinctive red eye! 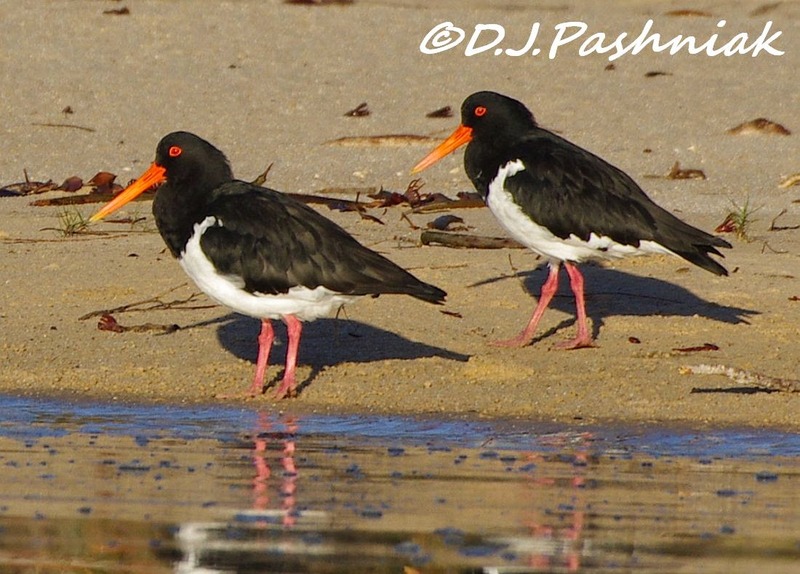 Great Oystercatchers - I have some images of Sooty ones from my last trip away.